Free Priority Shipping for all CD orders $180 or more. From Monday to Friday 9:00 a.m. to 6:00 p.m. (PST) Excluding all major holidays, where the office is closed. There have been some clever mashups recently and we found a great one to start off the new workout mix! 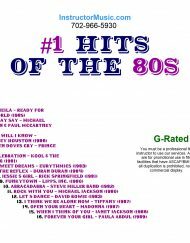 Cyndi’s 80s staple meshes very well with Tiesto’s current Top 40 hit, “Jackie Chan”. And we’ve included a great update on The Temptations classic “Ain’t Too Proud To Beg”. From there, the party continues with “Billie Jean”. And Rihanna serves up her mash of “Don’t Stop the Music” with MJ’s “Wanna Be Startin’ Something”. 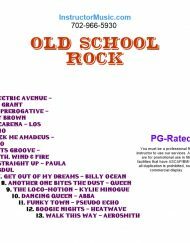 80s freestyle is also represented with hits by Nancy Martinez/“For Tonight” and Debbie Gibson/“Only In My Dreams”. Other highlights include “Girls Like You”/M5, “Happy”/Pharrell and “Rather Be”/Clean Bandit. It’s been over two decades since Culture Beat stormed the clubs with their Eurodance sound. Happy 25 to “Mr. Vain”! This mix is G-Rated. 19. Sweet But Psycho – Ava Maxrated. Crossover hip hop cranked up to 10! New hits and classic spikes throughout; that’s what the new workout mix is all about. Highlights include the multi-format smash from Post Malone called “Wow” as well as the latest from Ella Mai, “Trip”. We also included tried and true favorites like “Me & U”/Cassie, “Tambourine”/Eve and “2 On”/Tinashe. The closers are strong mashups “Dazz Bandz a Make Her Dance” and “Gasolina Magenta Riddim”. This mix is PG-Rated. As we begin the new year, we went back to the decade of excess and crafted a fitness mix of nothing but #1’s! From the Durans to the Eurythmics…From Janet to Whitney…we crammed the mix full of your favorite super stars! Highlights include “Celebration”/K&tG, “Oh Sheila”/RFTW and “Rock With You”/MJ. This mix is G-Rated. After a brief hiatus, our favorite hip hop/R&B diva sent us her latest custom workout list. We went to town and served it up just the way she likes it, raw and uncensored. Highlights include “Zeze”, “Big Bank” and “Taki Taki”. She also wanted some club hits, both new and old. 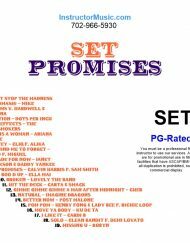 We obliged and included “Promises” as well as dance floor classics “French Kiss” and “Love Is Gone”. This mix is Extra R-Rated. 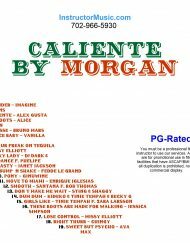 For many, the post-Christmas blahs have quickly set in…But we have the cure…A plate full of piping hot new Top 40 hits! All of the most wanted jams are here! Miley’s latest, “Nothing Breaks Like a Heart” leads the pack, followed closely with “thank u, next” by Ariana. Then, right out-of-the-box, we have Ava Max with her slammin’ hit “Sweet But Psycho”. Other highlights include “Close To Me”/Ellie G., “Girls Like You”/M5 and “I Found You”/Benny & Calvin. We fill in the gaps with a “Vogue” duet between Madonna and Rihanna and new takes on “Low Rider” and “Move Ya Body”. This mix is PG-Rated. Hits that close out the summer of ’18! We’ve got all the radio and club songs in the new exercise mix to keep you rocking through early fall! Highlights include “Boo’d Up”/Ella Mai, “Remind Me To Forget”/Kygo “God Is a Woman”/Ariana and “Better Now”/Post Malone. We’ve also included steaming, hot-from-the-oven new ones from Janet Jackson, Imagine Dragons and Lovely the Band. A superstar collaboration from Calvin and Sam as well as an Abba cover by Cher, make this one a can’t miss! This mix is PG-Rated. The last installment of our Best of 2018 fitness mix series, spotlights your favorite pop and dance hits from the past year. Highlights include “Delicate”/TS, “Girls Like You”/M5, “Jackie Chan”/Tiesto and “Just My Type”/The Vamps. 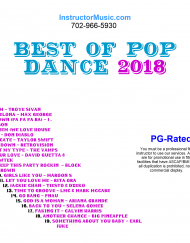 There was also a slew of dance club favorites that you grooved to in 2018: “Keep This Party Rockin’”/B&C, “Your Love”/Guetta & Showtek and “Get Down”/RetroVision. This mix is PG-Rated. The big screen story of Queen lead singer, Freddie Mercury has opened to rave reviews! It’s been a top draw at the box office for a few weeks now. We felt it fitting we honor Mercury’s endearing legacy with a new fitness mix! 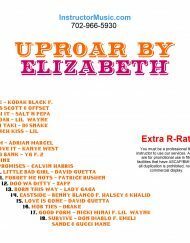 The somber tone of Queen’s signature song, “BR” has been replaced with a new hype’d up remix from the party starter himself, Lil’ Jon. From there, we continue to “Rock You” with the superstar who owes her namesake to a Queen hit! Lady Gaga gives a round of “Applause” to her fave front man. The most iconic performance of Queen’s career, Live Aid, was captured perfectly in the film. We’ve also included some of the artists and bands that performed alongside Queen on that summer day in ’85: , Power Station and Tom Petty. The current lead singer of Queen, Adam Lambert, is also featured in the mix with a few of his earlier solo hits! This mix is PG-Rated. 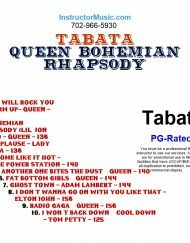 This Tabata mix is designed to follow exact TABATA timing. Each Tabata set is 4 Minutes in length, giving you a full 8 cycles. The precise audio cues will guide you when to prepare, work, and break. , 20 seconds of work, 10 seconds of rest, each followed by a 1 minute recovery – providing a perfectly well-balanced workout. Your students will love the mix of high-energy music followed by relaxation, and YOU’LL love providing the polished, professional, hands-on class that they deserve! The most iconic performance of Queen’s career, Live Aid, was captured perfectly in the film. We’ve also included some of the artists and bands that performed alongside Queen on that summer day in ’85: David Bowie, Phil Collins, Power Station and Tom Petty. 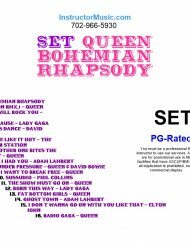 The current lead singer of Queen, Adam Lambert, is also featured in the mix with a few of his earlier solo hits! This mix is PG-Rated. 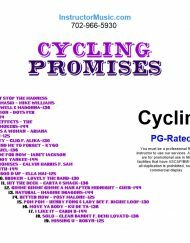 With the 32Count Fitness system, there are no CD’s to purchase, and no downloads to download and get into your player or device. Simply select your mix, your bpm, and click play. That is all there is to it. How do I clear my browser cache on a Mac?